We are Bulk Voice Service Provider in India offering Voice service at most affordable rates. And as leader in providing Bulk Voice Transactional, Promotional and Marketing Voice services in India we ensure you get upto 100% assured delivery of all voice messages. With 2019 Elections date declared its time for you to as candidates to connect with people of your constituent and share details of your work done in last 5 years. We provide lowest cost Bulk Voice Call for Election Campaign service for both Resellers and Direct Candidates that want to connect to there voters using personal voice messages. We broadcast approx 10 Million Voice Messages per month accross India. And to maintain ourselves as best Bulk Voice Company or Voice Gateway Provider in India we have built redundant network with all major Indian Telecom Operators. We provide userfriendly web-based panel for end-users to manage and run Promotional Voice and Transactional Voice with assured delivery. In Voice Call service we also provide custom designed solutions that are majorly used in Transactional Voice Call Service wherein each recipent receive automated voice call with personalized details similar to Transactional SMS service. Are you planning to start and grow business as reseller or already working as reseller and want to enchase this time by selling voice messaging services. This is right time for you to join us a Whitelabel Reseller of Bulk Voice Call Service. Now purchase bulk orders at very economical rate and resell to unlimited users and earn huge profit. No need to worry about sender numbers or software to run campaign. No technical knowledge required, No headache to have team to manage and run campaigns of your client. We provide web-based user friendly panel to manage and montinor your campaigns. Focus on building new clients and simply resell credits. We are here to take care that all your clients campaigns are run and managed without any overhead at your side. Your clients are your clients our team has no access of your client details as its fully automated system. Our Bulk Voice Service is fully compliant with Telecom Regulatory Authority of India (TRAI) norms. All Marketing and Transactional Voice are broadcasted via our Web-Based Portal Application and API Interation is available for Transactional Voice Gateway. And detailed Delivery Logs are stored in our system to fulfill 3rd party audit requirments. 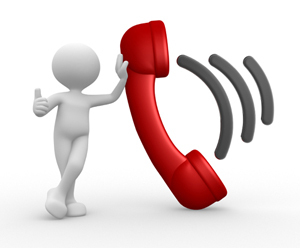 All Marketing Voice are delivered between 9:00 AM to 7:50 PM only as per approved TRAI norms. Why use Bulk Voice Service for Promotional and Marketing activity ? In India almost every person is having mobile phone. And with growing competition it has become vital for any business either Startup or leading brand, to be connected with prospect clients effectively and within short time span. Against typical printing advts. a typical Voice campaign to same volume of recipient cost 1/10th and ROI is much higher also you monitor performance of your campaign based on callback or weblink hits that you receive. As we all know 2019 Indian General Elections in India have started . And hence we have launched special discounted rates for bulk voice calling for resellers and direct candidates. We had been doing election campaigns since many years and had worked with almost all potitical parties in India for running such campaigns. We have dedicated team that would be managing and running your election voice calls and sms camapaigns. And as we have complete inhouse infrastructure with high speed bulk voices broadcasting capacity we ensure you would get maximume coverage and visibility with detailed delivery based reports for your voice call campaigns. To know more about special packages for Election Bulk Voice Calling Rates related to your Political Bulk Voice Campaigning contact our sales team today. We offer Bulk Voice Call Plan starting 1 Lac credits and more ! We are an innovative Bulk Voice service provider company focusing on providing a cost efficient business solution to our valuable clients. And we provide Transacational Voice with API codes at no extra cost. Transactional Voice are delivered to both DND and Non-DND numbers as per TRAI regulations with 100% ensured delivery anytime 24 x 7. Easy to Use and get 100% verified delivery report online. Recommended Service to be run along with Voice Camapaign : WhatsApp Marketing Service, Bulk SMS Service, Google Top Page Ranking (SEO), Google Adwords, Facebook Marketing, Email Marketing & Missed Call Service. Ahmedabad, Bangalore, Baroda, Bhopal, Bihar, Chennai, Delhi, Gurgaon, Hyderabad, India, Indore, Jaipur, Kolkata, Kota, Lucknow, Mumbai, Nashik, Nasik, Noida, Pune, Punjab, Gujarat, Surat, Thana, Vadodara, West Bengal, World. We had tried many different digital marketing solutions in past, however results we got from WebXion Voice Call Solution had been highly satisfactory.